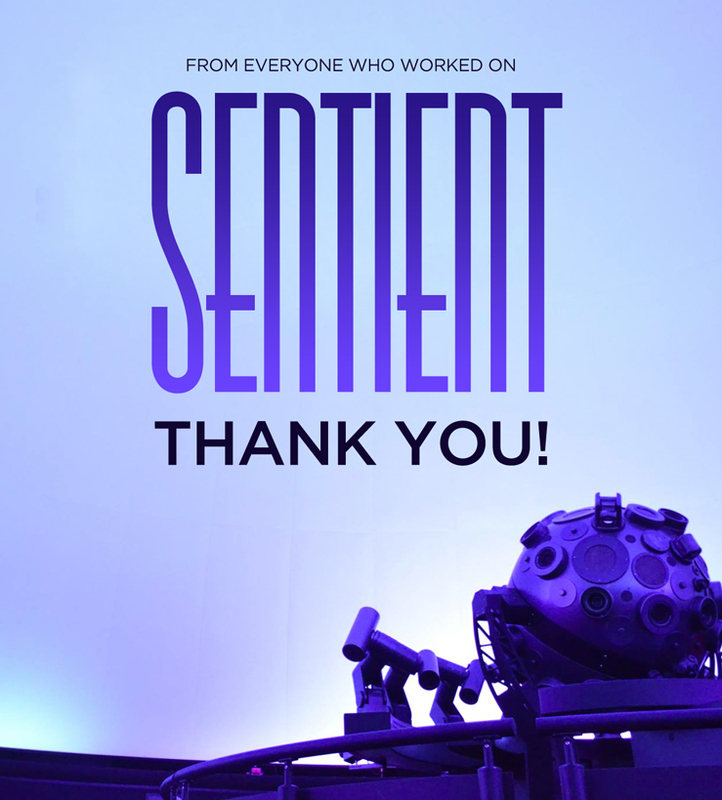 Sentient was an original production created by artists in the Studio for Interrelated Media’s Art and Science Immersive Media course. During the spring 2013 semester, students explored topics of scientific inquiry and expressing their curiosities and understandings in visual, auditory, and performative modes. In less than 5 months these students collaborated on all aspects of storytelling, concept development, sound design, dome video production, and public relations to create an immersive environment exploring the creative, perceptive, and unexplored mind.